While dholes have long been present inside several protected areas in Thailand, there is little to no research focusing directly on this species. Scientists aim to shift public perceptions of dholes to help ensure a secure future for this species. 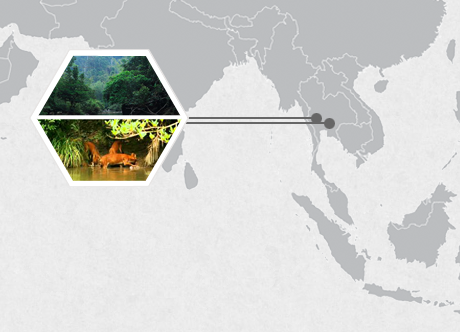 Explore Huai Kha Khaeng Wildlife Sanctuary and Khao Yai National Park as you search for signs of dholes. Dr. Ronglarp Sukmasuang has more than 20 years of experience in forest ecology and wildlife research. Teams will stay at the field station in Huai Kha Khaeng Wildlife Sanctuary or at a rental house near Khao Yai National Park.